UNIX Shell Scripting Course is specifically designed to develop skills required for automation on Unix / Linux Environment. This course focuses on the basic and intermediate level of Scripting. 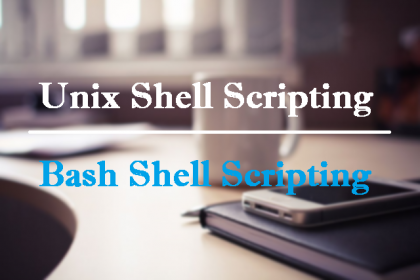 It provides training with hands on session to administer the UNIX shell Scripting. Working in a controlled UNIX classroom environment with an expert instructor, you will learn UNIX concepts and commands, and you will receive professional tips and techniques that will help you build your UNIX skills and confidence. b. What is Shell Script? a. What are standard input and standard output? d. How Do I Use Operators? e. How Do I Disable Email Output? f. How do I list existing cron jobs? 2. Put this in a crontab. 3. make sure that you leave atleast 1000 lines in the file. x. Script to take selective system backup. ii. Oracle user managed cold backup.